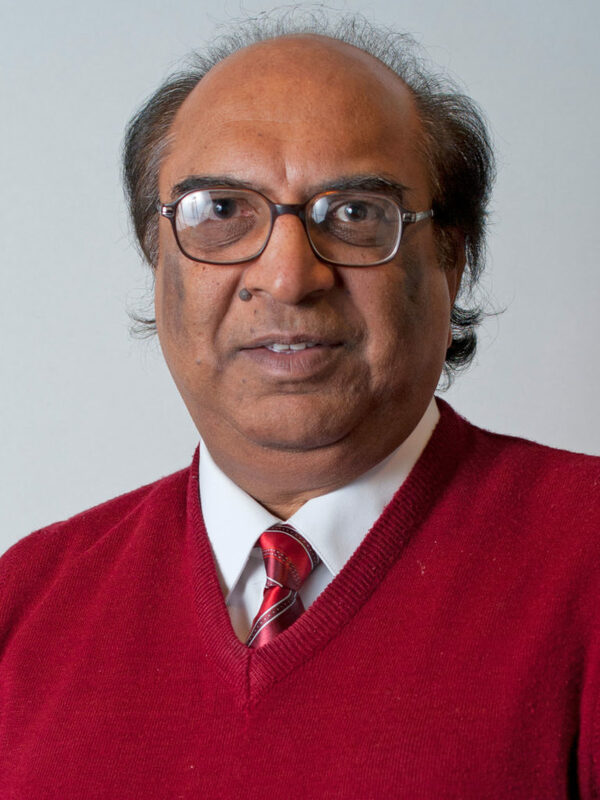 Dr. Gupta’s research interests are in the areas of Production/ Manufacturing Systems and Operations Research. He is mostly interested in Environmentally Conscious Manufacturing, Electronics Manufacturing, MRP, JIT, and Queueing Theory. He has authored/co-authored well over 400 technical papers published in prestigious journals, books and international conference proceedings. He has traveled to all seven continents viz., Africa, Antarctica, Asia, Australia, Europe, North America and South America and presented his work at international conferences there (except Antarctica). The journals where his publications have appeared include Annals of Operations Research, Computers and Electrical Engineering, Computers and Industrial Engineering, Computers and Mathematics with Applications, Computers and Operations Research, European Journal of Operational Research, International Journal of Advanced Manufacturing Technology, International Journal of Computer Integrated Manufacturing, International Journal of Environmentally Conscious Design and Manufacturing, International Journal of Flexible Automation and Integrated Manufacturing, International Journal of Industrial Engineering, International Journal of Integrated Supply Management, International Journal of Manufacturing Technology and Management, International Journal of Operations and Production Management, International Journal of Operations and Quantitative Management, International Journal of Production Economics, International Journal of Production Research, International Transactions in Operational Research, Journal of Electronics Manufacturing, Journal of Engineering Sciences, Journal of Fire Technology, Journal of Industrial Ecology, Journal of Intelligent Manufacturing, Journal of Operational Research Society, Journal of the American Society of Information Science, Microelectronics and Reliability, Omega, Opsearch, Perception and Psychophysics, Performance Evaluation, Performance Evaluation Review, Production and Inventory Management Journal, Production Planning and Control, and Transactions of Operational Research. His publications have been cited by thousands of researchers all over the world in journals, proceedings, books, and dissertations. Dr. Gupta is the editor for the special issues of Journal of Electronics Manufacturing on “Environmental, Recycling and End of Life Issues in the Electronics Industry” and “Production, Planning and Scheduling in Electronics Manufacturing”, editor for the special issue of International Journal of Operations and Quantitative Management on “Environmentally Conscious Manufacturing”, senior editor of the Industrial Engineering Applications and Practice: Users’ Encyclopedia , co-editor for the special issue of Computers and Industrial Engineering on “Operational Issues in Environmentally Conscious Manufacturing” and serves as an Area Editor for Environmental Issues of Computers and Industrial Engineering, Associate Editor for International Journal of Agile Systems and Management, as well as on the editorial boards of IIE Transactions on Design and Manufacturing and International Journal of Industrial Engineering. He has been involved as the Chairman of the International Conferences on Environmentally Conscious Manufacturing I (Nov. 2000), II (Oct. 2001), III (Oct. 2003), IV (Oct. 2004), V (Oct. 2005) and VI (Oct. 2006), track chair of Management Science and Operations Research for the NEDSI’2001, NEDSI’2002 and NEDSI’2003 Conferences, track chair of Production and Operations Management (Manufacturing) for the NEDSI’2005 Conference, Trach chair of Environmental Issues and Reverse Logistics in Production/Manufacturing for POM2005 and POM2007 and the member of the Technical Committees of International Conferences of IEEE on ISEE’1998, ISEE’1999, ISEE’2000, ISEE’2001, ISEE’2002, ISEE’2003, ISATP2003 and ISATP2005, and DYCONS99, GT/CM’2000, GT/CM’2003, RETBE’2000, ICMFMDI’2000, ISLCE’2001, ITEE2005, ITEE2007, ICCIE2006, MHCL2006 and IAD2007. In addition, he is a regular reviewer for more than a dozen major journals in the field of Production/ Manufacturing Systems and Operations Research and has frequently reviewed proposals for National Research Council and National Science Foundation. He has been elected to the memberships of several honor societies and is listed in various Who’s Who publications. He is a registered Professional Engineer in the State of Massachusetts and a member of ASEE, DSI, IIE, INFORMS and POMS. He has taught a variety of undergraduate and graduate courses in the areas of Production/ Manufacturing Systems and Operations Research. He has more than 30 years of teaching experience and has consistently received high student ratings. He has been elected to memberships and chairmanships of dozens of University, College and Department Committees as well as an elected member of the Faculty Senate representing the College of Engineering.